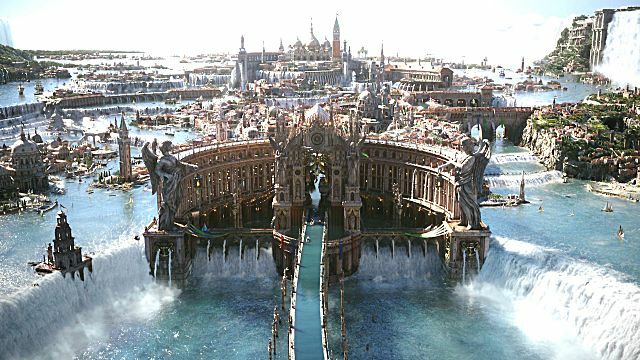 Hajime Tabata, the director of Final Fantasy XV, really wants to make the FF series great again. The franchise had a fantastic run in the 90s and early 2000s, but in the last 10 years Final Fantasy had lost most of its appeal. Tabata is at the helm of the project in its entirety, meaning that he controls both the development and marketing. Due to his commitment to the project we got to see a feature movie "Kingsglaive" and a TV series "Brotherhood" that take place in the FF universe. 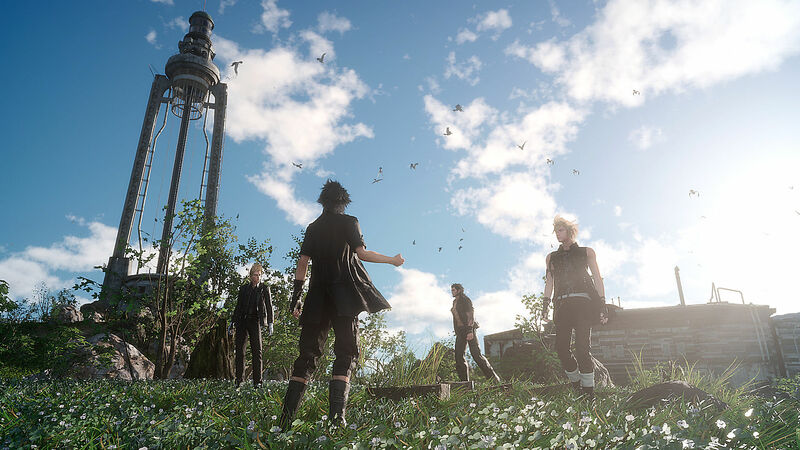 The last couple of installments in the FF series have really been questionable, so Tabata is determined to turn the tide backwards with Final Fantasy XV. That is also the reason for the delay of the release – he really wants to make sure that the new game will look as good as possible. Let's see how all the new features will make the old and new fans excited about the series again. On the other hand, if you personally don't believe in the bright future of the FF series that will come with the release of Final Fantasy XV, then here is a counter-opinion to this article. 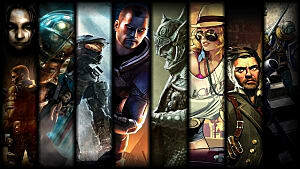 The path of the game’s protagonists begins in the capital city of Insomnia (a city that never sleeps). This metropolitan area with high spikes is inhabited by people with a sharp sense of fashion and glamour. More than that, the better the characters are dressed and the trendier their hairstyles are, the more important roles they play in the game. Everything is beautiful in Final Fantasy XV. Wherever you look, you will see either strange grotesque creatures or mysterious ruins somewhere far away in the background. Everything in this world is connected by a typical concrete highway that protagonists use to travel from one city to another. 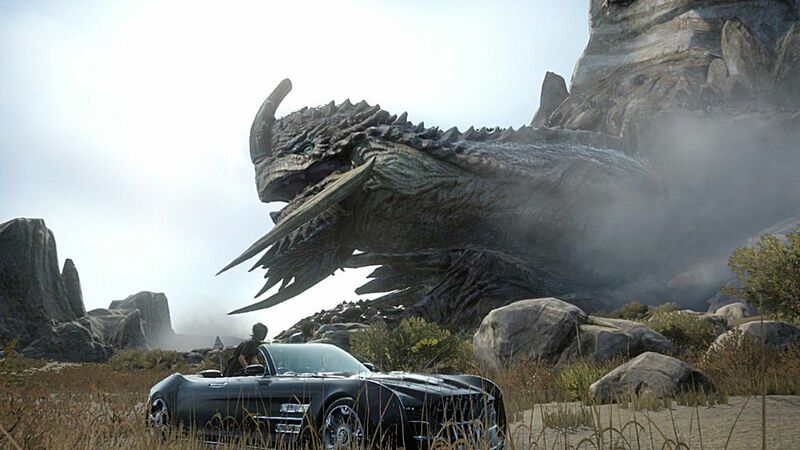 Final Fantasy XV has a non-linear approach to its story and an open world with a lot of freedom. As you travel between the cities, you learn a lot about this strange universe. For example, before you enter the city of Lestallum, you will encounter a massive crater with a meteorite still burning the area around it. You will learn that this meteorite is used as an energy source that feeds an entire city. The main characters like to travel by car although they are of royal descent and actually are headed for a wedding ceremony that will take place in the neighboring empire. And, this is so typical of the FF series – the most grandiose events take place in an almost casual way. 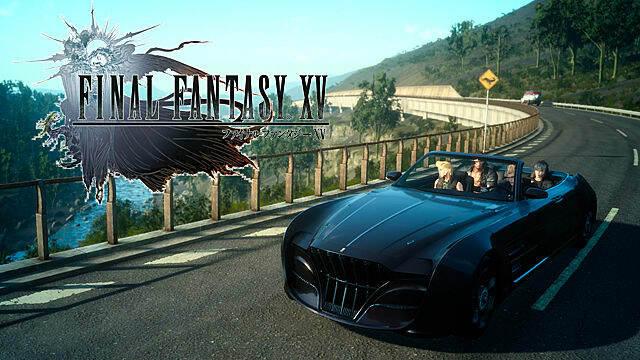 People who are familiar with the series will adapt much quicker to this unusual environment and gameplay that requires you to spend a lot of time just riding the car and talking to NPCs. Others will find it harder to absorb all the information and get used to the routine, but Tabata promised that this playstyle was intended from the beginning of development, and if you keep playing, you will be rewarded. The main protagonist of the game is Noctis who is followed by three other characters: Ignis, Gladiolus, and Prompto. These four travel everywhere together and from time to time they will be joined by a couple of guests. Noctis is not the strongest character in the group, but he is definitely the most important one, as he is preparing to become the king. 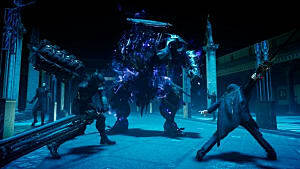 His friends fill in the gaps in the attributes that Noctis misses, for example, Gladiolus is his bodyguard, Ignis is an intellectual who likes to juggle with ideas, and Prompto is a comic relief that makes everything fun. All four protagonists have skills that can be used during special mini-games. 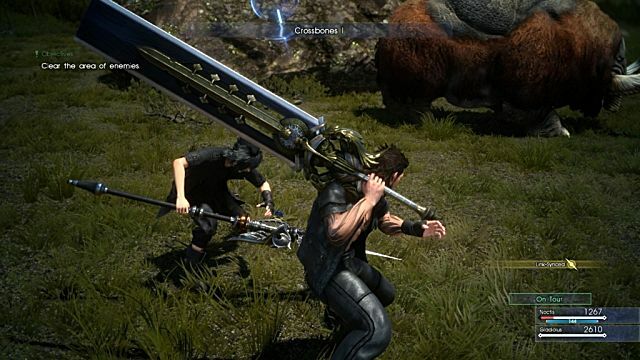 Noctis’ skill is fishing, which was much more complicated during development, so Tabata and co. had to simplify this activity in the game. However, it still requires a bit of practicing and patience. 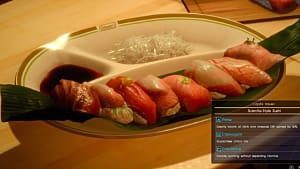 Ignis is a chef. He likes to gather foods and turn them into real cooking masterpieces. 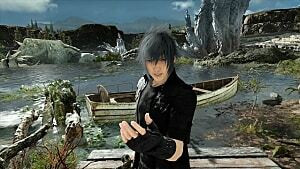 He can use the fish caught by Noctis and make a perfect dinner for his buddies. This skill can be upgraded by leveling up and this will allow Ignis to cook better and better each time. Prompto is a photographer. He’ll be taking lots of photos throughout the game and showing them to you. If you like some of the photos, then you will have an opportunity to save them and share online. This mechanic looks like nothing special at first, but Tabata-san considers this a really fun addition to his game. 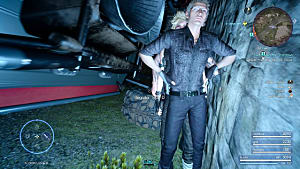 And finally, Gladiolus is a master of survival. He can keep his party alive even in the harshest of situations. And, he likes to collect trophies. This Final Fantasy game utilizes the real-time combat (Active X Battle or AXB), while previous iterations have always been turn-based. This alone is a huge indicator that FFXV is not a typical FF game. Mostly, fights look amazing with excellent effects and a dynamic movement system. You can also use combos, and some of them even require the involvement of your teammates. These combos may take some time to execute, but they definitely look mesmerizing. However, you don’t have control over your group, so you just need to let go and trust the AI. 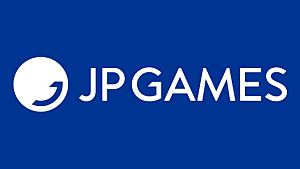 Hajime Tabata is absolutely sure that his new game will become one of the most prominent titles of the current generation. Final Fantasy XV is packed with giant bosses, but here you don’t get to climb on top of them and finish them in the fashion of Dragon’s Dogma. Boss fights are mostly reminiscent of the Dark Souls system, where you run around, smash feet or tails, and occasionally throw things at them from a distance. This is no hack-and-slash game – you do need to learn the moves of your enemies and adjust accordingly. 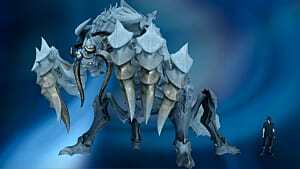 Your weapons have special attributes and some bosses can be vulnerable to certain attributes more than the other ones. Boss fights are usually quite long, and you can even take a break in the middle of the fight, if you need to reconfigure your attack patterns. Additionally, you can craft special magic items, which you can later use to cast spells. In order to be able to craft these items, you need to look for special elements. For example, you can cast fireballs that can either damage or heal depending on the target. The character skill tree also includes an ability to summon various creatures (Archaeans) who can help you fight the enemies. Final Fantasy XV has a non-linear approach to its story telling and an open world with a lot of freedom. However, the further you travel the narrower your path becomes. This is really cool, since you have a lot of time in the beginning to get yourself acquainted with the characters and all the mechanics. And, as soon as you feel confident you can move forward in the story with no pressure. There is also a whole abundance of side-quests both big and small. The smaller ones are quite typical and samey, but the rest involve epic battles and develop the plot by giving you additional information of what’s to expect next. The rest is entirely up to you. If you enjoy traveling and meeting NPCs, then that’s what you can do for as long as you want. If you want the story, then keep doing quests and follow the main storyline – it’s all there. Having so much choice is great and it means that the game will actually appeal to a wide range of audiences. Hajime Tabata is absolutely sure that his new game will become one of the most prominent titles of the current generation. He and his team have put so much effort in it that it makes sense to believe him. The enormous amount of details in Final Fantasy XV is striking, and many will truly appreciate just how beautiful everything is in this game. Final Fantasy is a flexible franchise and one should not be scared of the changes, and what the series really needs is exactly that – a fresh change. FFXV does the job and completely reshapes the old formula. It is easy to be skeptical right now, when the game is not out yet, but usually most people like the changes that come and this will not be an exception. The early previews at Gamescom 2016 showed that 90% of all players who tried the demo version had a positive experience in the game. This is a great result and proves that people are ready to wait for FFXV a bit more after the announced delay. The current release date is November 29, 2016. 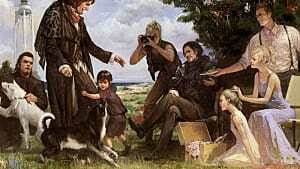 What is your personal stance on the upcoming Final Fantasy XV? 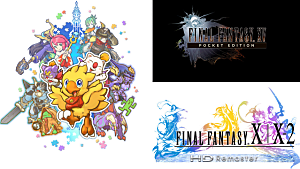 Will it shatter the stale state that the FF series is in right now? Express your opinions in the comments.